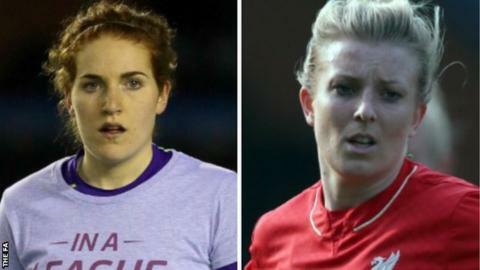 Liverpool Ladies have continued their recent re-signings for next season as Danielle Gibbons and Kate Longhurst have both agreed new contracts. Goalkeeper Gibbons, 23, had a brain tumour removed in July but returned to play in the final game of last season against Brescia. Striker Longhurst, 26, joined the club from Chelsea and made 11 appearances in Women's Super League One. "These are two more important deals for the club," said manager Scott Rogers. "Danielle made an incredible comeback from her brain tumour last year and still managed to compete at Europe's elite level which shows the mental strength, as well as quality that she possesses. "Kate is an outstanding team player who is a big influence in the dressing room and I am delighted that she has agreed a new contract."